Come help Scuba Bob and his friends protect our oceans and waterways. Provide monthly meetings to discuss trips, training and education. 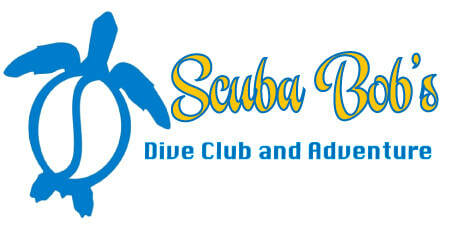 ​Provide monthly activities and trips to get wet and practice new found skills. Provide monthly training to provide you with better skills to participate on special expeditions. Provide a place for you to talk, share and fellowship with people who have a love for water and wage activities. Scuba Bob's Dive Club is for people who have received scuba certification and need a place to expand their training and experience. It is also a place where you can become certified. Beginning with a passion for the oceans, Scuba Bob learned to swim at age 5 and by age 22 learned how to scuba dive. At age 29 he became a scuba instructor and a year later was coined Scuba Bob by one of his students from Wisconsin, where the name Bob is more socially acceptable. The underwater world is his passion. He holds a masters degree in Behavioral Science and has worked in developing unique youth organizations that promote ocean conservation. Bob is currently a member of the elite Platinum Pro 5000 organization and an Instructor Trainer for Scuba Schools International. The Platinum Pro 5000 organization is reserved for divers and instructors who have over 5000 dives and have contributed to the scuba diving industry. In 2002 the Houston Press voted Scuba Bob as the best diving instructor in Houston. Through Scuba Bob’s Ocean Quest youth and families are educated on the importance of our Planet’s marine environment and practical ways to conserve its delicate balance. Through education programs, training labs and research programs, members of Fans of the Sea learn valuable self-discipline skills that are necessary to reach their goals of success. Scuba bob is very familiar with the camera. He has been videotaping since the late 80’s when he went to Venezuela to promote the diving and jungle adventures available in this South American country. As an instructor, he has specialty training in providing students with a certification in underwater photography, videography and modeling. Over the years he has documented his 6,000+ dives with the camera. He has a passion for the underwater world and is motivated to help people have his same passion by turning the viewer’s living rooms into a portal to the many mysteries and adventures offered by this liquid world. When you see him, he is loaded for bear as he attempts to bring viewers eye to eye with a shark, whale or turtle. With the genes provided by his artistic mother, he has an eye for the camera and knows how to bring the action of the underwater world alive through film. With the help of a seasoned crew, Scuba Bob’s Ocean Quest is a program that is hard to turn away from. Viewers of the show state that they cannot stop looking, because they are curious about what unique shot will come next. Creatures that look like they came out of a science fiction movie come alive and with his training as a marine identification instructor is able to discuss in layman terms the behavior and history of these unknown creatures. Scuba Bob is always looking for new and interesting sites to dive. Since 2005, he has dived many unique places around the world to educate the public on the issue of Ocean Conservation. Shown weekly, he uses 1,000’s of hours of underwater video to get the viewer’s attention. Scuba Bob and his small staff travel once a month to exotic destinations that have a connection with conservation topics. Viewers have stated that once the program is on it is very hard to turn it off, because of the beautiful video and surprises, like coming face to face with a shark or sea snake. 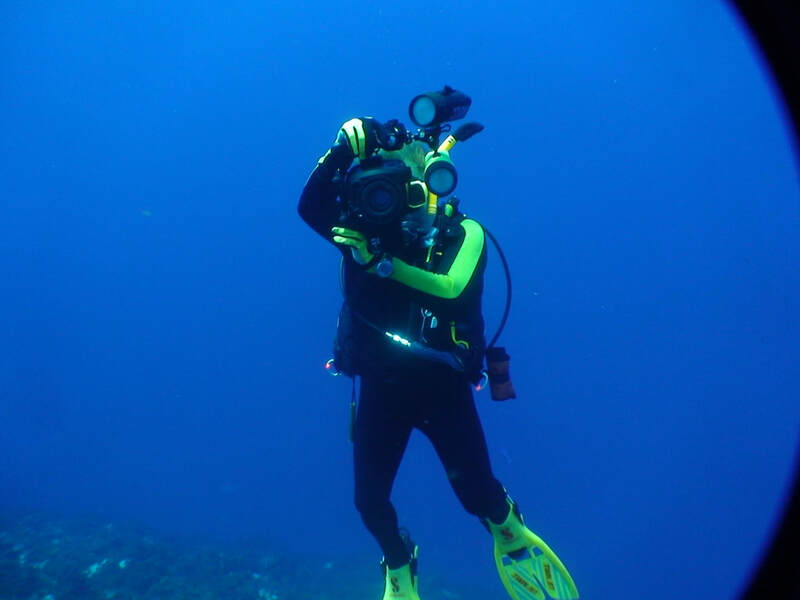 Each episode reveals exciting adventures and encounters like coral spawning, dolphin’s kissing divers, sharks being kissed by Scuba Bob and teenagers caring for critical habitats. These shows are informative and exciting. As viewers are being entertained by each action packed episode, they are surprised by how critical facts about ocean conservation have been imprinted in their minds. The Houston Downtown Aquarium is a unique venue that is utilized by Scuba Bob’s Ocean Quest. Once home to Firehouse 1 and the Houston Waterworks, the land and buildings that house the Aquarium are a great utilization of the property. As a centerpiece for downtown, the aquarium is able to provide more than most people are aware of. The Aquarium is home to shark, tiger, bird and fish exhibit. It has a train that goes through the shark exhibit, a touch tank for children, a great restaurant, amusement rides and much more. The staff members, of the Downtown Aquarium, are dedicated to marine conservation and have numerous programs to educate the public and schools in the area. With some 12,000 visitors a day, it provides a great venue for Scuba Bob’s Ocean Quest. Many of the episodes will begin with the Downtown Aquarium. This is a great partnership and a great place to provide educational programs for schools and the public. Scuba Bob and Friends is an instructional youth program designed to use previous programs to educate the youth on the importance of ocean conservation. Denise the Mermaid and her Dasha, her turtle friend, were sent by her father, “King Neptune”, to find Scuba Bob and use his television program to get children involved in saving our ocean friends. Each DVD will include a 30-minute episode with attached activities for children to broaden their knowledge base. Teachers and youth leaders will be provided with a syllabus designed to capture young people's attention. Then the audience will be challenged to come up with solutions to problems and questions about the topic. Projects, games and activities will be provided to keep the audiences attention. Scuba Bob's Ocean World is a series of documentaries on current issues that affect our oceans. Scuba Bob takes contemporary topics and devotes an hour and a half stressing conservation research, marine life conditions, and the value of the topic to mankind. Ocean World utilizes current research and facts, videos and interviews of experts to create compassion and motivation. Most topics, like the extinction of the Pacific Leatherback Sea Turtle, require immediate action before it is too late. The audience will be compelled to make a difference by helping organizations that are focusing on the current crisis.